Kid’s bikes are the gateway to lifetime of fun. What’s best for your rider? When it is time to get your child on the bike for the first time, or upgrade to a bigger size, knowing the differences between kid’s bikes will make the job easier. Read below for more details. In the early 1970’s kids began racing their bicycles on the dirt tracks of southern California. This racing led to the national explosion of the BMX bike. 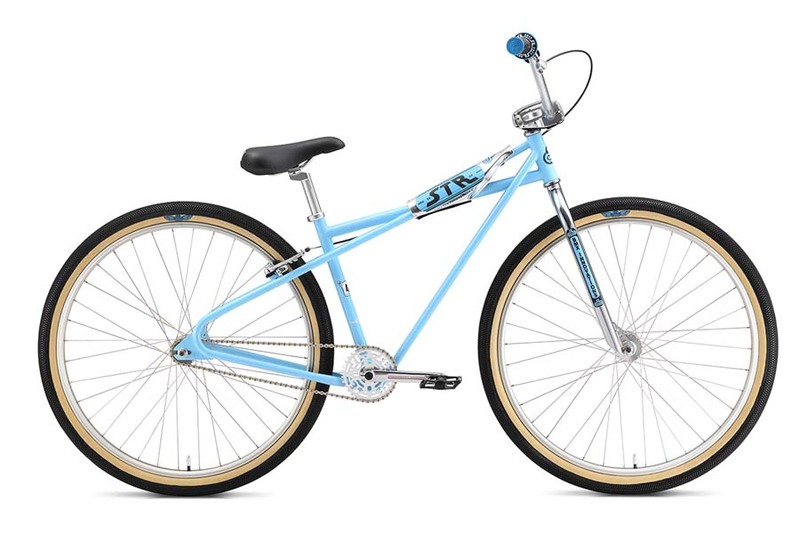 Over the last few years the “Bikelife” movement has given BMX a renewed interest around the world and ushered many different frame and wheel sizes into the category of BMX. These bikes all share the similarities of one rear brake, single speed, high bars, and low saddle even though the wheel sizes are different. The Mountain Bike boom of the 90’s spread across the globe and included options for every size of rider. Today, kid’s mountain bikes live in two categories; “Off road” and On road”. 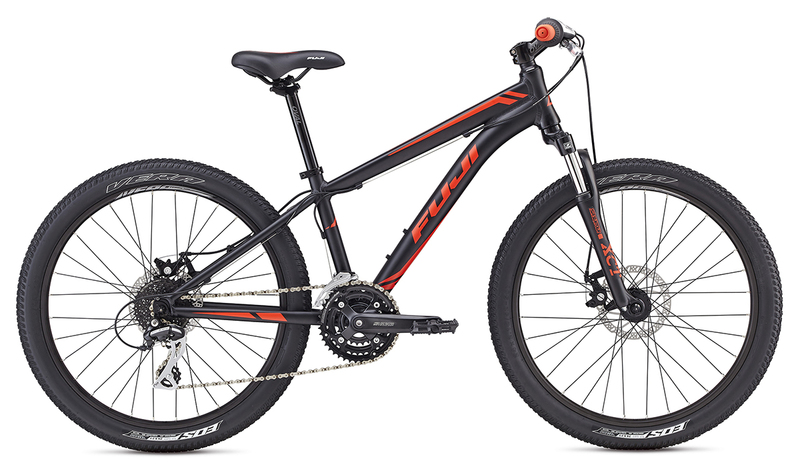 The “Off road” mountain bikes have lower gearing to traverse loose trails, suspension designed for control, and lightweight components. “On road” mountain bikes are built to be ridden around the neighborhood rather than off road. They have higher gearing for smooth paths, suspension designed for ascetics rather than function and they typically weight a lot more than the “Off road” versions. Both come in 20”, 24” and 26” wheel sizes. Balance bikes are sweeping the world as the best way to teach children to ride bikes. 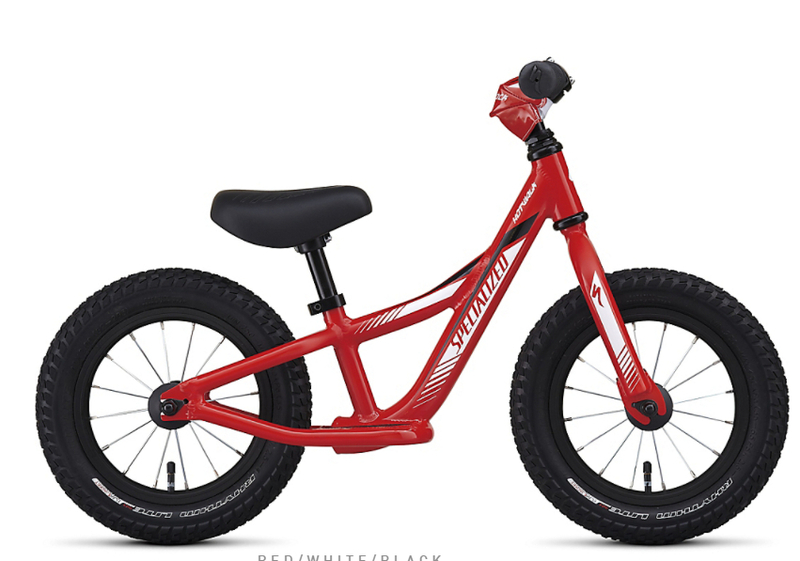 What is a balance bike and how does it work? These bikes look a lot like a normal bike with two wheels, frame, seat and handlebars. What you won’t see on a balance bike is a crank, chain and pedals. Balance bikes are designed to teach kids the most difficult portion of riding, balance, before incorporating pedals. This category is a bit newer to kid’s bikes, but has existed in cycling for over 100 years. More recently, parents who enjoy riding their road bikes wanted to share that experience with their young kids. Thanks to a few perceptive companies, kid’s road bikes came to the market with great acceptance. To find the size that fits your child best, try different brands to find something that fits your child well. Most kid’s bikes are sized by wheels size. As an example, a child from 32”-42” tall would ride a 16” wheeled kids bike. That does not mean that all 16” wheeled kids bikes are the same size. Where they differ is the overall height of the frame, and the distance from the seat to the handlebars. When getting a new bike, try a few brands to see which frame fits best. Smaller kid’s bikes (>16” wheels) usually use a pedal brake. Therefore, to have the child stop, they pedal backward. Once you grow into kid’s bikes with 20” wheels most manufactures use a hand brake and a pedal brake so that kids can get comfortable with hand brakes. At 24” wheels and above, bikes are almost exclusively built with hand brakes only. Thanks to the increase in aluminum production and costs for the material coming down, many kids bikes are now made out of aluminum. This is great news for kids of the world because aluminum frames are lighter than steel. Steel frames are not always a detriment to kids bike though. In the case of BMX bikes, Steel’s durability and strength end up being a huge benefit for riders doing more aggressive moves. Kids bikes typically weigh a lot in relation to the child. But that is not to say these bikes are heavy. 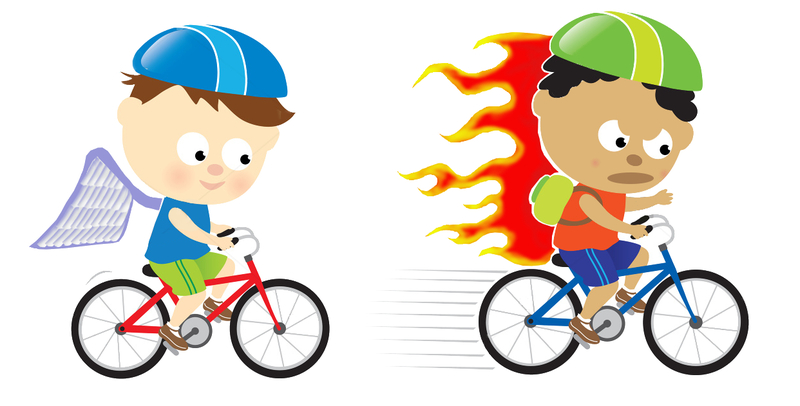 As an example, a 25-pound bike is proportionally heavier to a child who weighs 40 pounds than to a 150-pound adult. Getting your child the lightest bicycle available, will go a long way to make it easier for them to ride. Durability is a difficult metric to qualify when buying a bike for a child. Something that will be durable enough for path riding, might not hold up to the rigors of off road use. Durable things to look for are metals rather than plastics in the braking and shifting components, and aluminum rims rather than steel. Beyond everything else, take into consideration the child who will be riding the bike when determining how durable it needs to be. Some kids are gentle on their equipment while others are far more kinetic. Gears are great for neighborhoods that have hills or for riding off road. Multiple gears give kids a mechanical advantage to ride steep grades or high speeds with relative ease. On the other hand, if your typical riding locations are completely flat and paved, gears will probably just add undue complexity to your child’s bike. Now that you know all about what makes a kid’s bike, let’s talk about how to buy one. I cannot recommend your local bike shop highly enough. A child’s enjoyment of riding a bike is hugely effected by the quality of the bike, fit of the bike, and function of the bike. For those reasons, no entity does a better job of getting your kid on the right bike than the local bike shop. 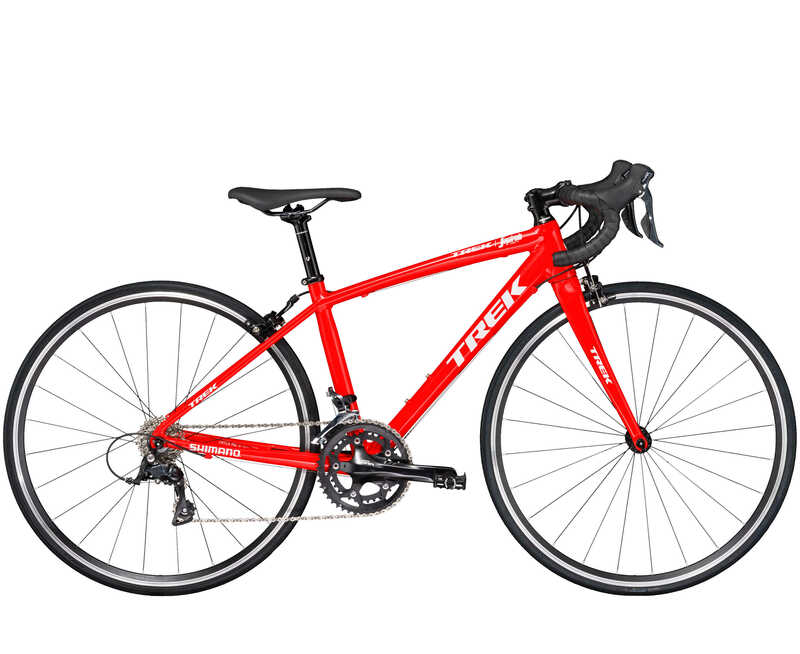 It is not a secret that there are less expensive places to buy a bike than a bike shop. Even though others may sell bikes for less money they are not the same product in fit, function, or service. When going to get your child a new bike, remember to look for a few other products as well. First and foremost is a Helmet. Helmets have limited lifespans and should be replaced frequently. Also consider the things that will go on your kid’s new bike like a bell or bottle. Round out the purchase with gloves or a jersey and your kid will be looking forward to mile after mile of great riding. This entry was posted in News and tagged bike life, BMX, childrens bike, childrens bikes, family bike, family bikes, family cycling, family riding, Frog Bicycles, kids biike, kids bike, kids bikes, Kids safety, mountain bike, mountainbikes, Ride safe on March 23, 2018 by John Brown. 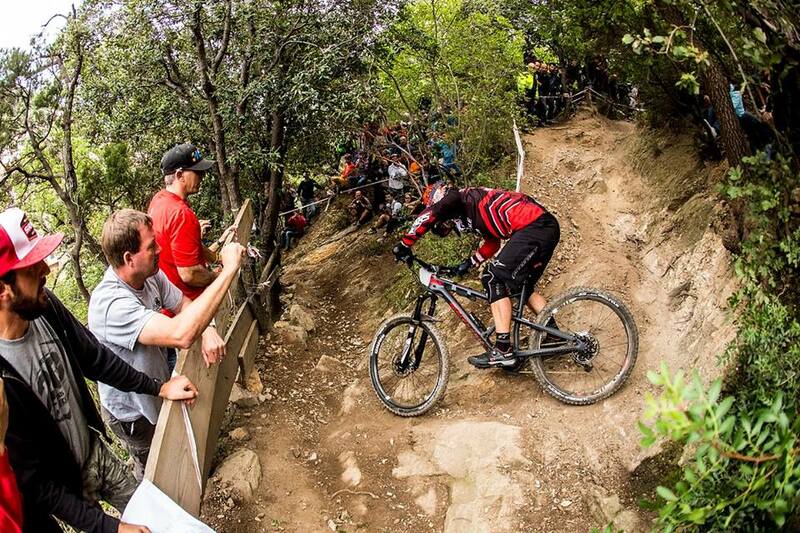 For many, the fun of mountain biking is going down hill. So how do you descend with speed and confidence? You will find it is as easy as controlling your weight, position and growing skills. Weight distribution is the most important thing to focus on when descending. The inaccurate explanation of this is to “lean back” when heading downhill. In reality, by “leaning back”, you extend your arms completely and “hanging” on the handlebar. As you descend, if your arms are extended completely and the front end needs to drop, you will get pulled forward and potentially pitched over the bar. For many, the fun of mountain biking is going down hill. So how do you descend with speed and confidence? An easy trick to controlling your weight is to consider how much pressure is on your pedals. Rather than keeping even weigh distribution between your bars and pedals, concentrate most of your weight on the pedals. As you initially get used to this concept, I find it useful to imagine what would happen if a genie magically came by and made your bike disappear mid ride and you were left to land on the ground. Would you land on your feet or your hands? Once you get your weight distributed onto your pedals, you can easily move your body forward and back over the bike as the situation requires. While moving your weight around, you will find it is easier to do if you first get your weight into as low a position as possible. While most bikes have suspension, your arms and legs offer better suspension than any shock. By bending your knees and elbows It is easy to get into a low position and absorb trail shock. Additionally, beyond well bent joints, concentrate on looking ahead rather than down. If you look down, you lose vision of what is coming down the trail and you bend your back into a poor riding position (see image). By contrast, looking forward will naturally put your chest out and hips down, and grant you more time to see obstacles and correct. Finally, having a comfortable bend in your arms and legs, will allow you to be loose on the bike. Loose means you can let the bike move freely beneath you without affecting your position. Other than being low, balanced, and loose, you need to practice a few things to build your skills. 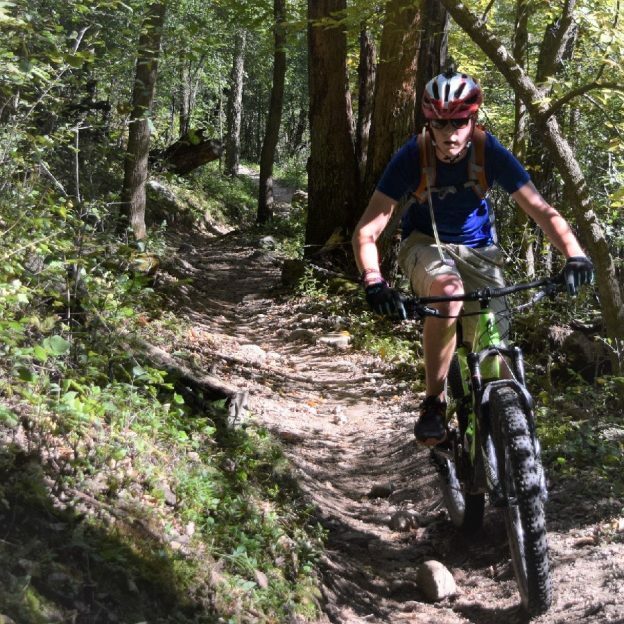 By bending your knees and elbows It is easy to get into a low position and absorb trail shock, while descending. The number one skill is to ride in straight lines. While descending, you have more speed and less traction,therefore, trying to make hard or quick turns becomes increasingly difficult. When entering a descent, look ahead and setup as straight a path as possible, going over obstacles rather than around them. When you do plan to turn, try to control your speed before the turn and lay off the brake while making the turn. To do this, find areas that are smooth to apply the brakes and try to avoid skidding. Remember that if your wheels are skidding, you have lost traction and the ability to stop under control. Moreover, if your wheels are skidding, they will continue to skid even if the ground becomes smooth. 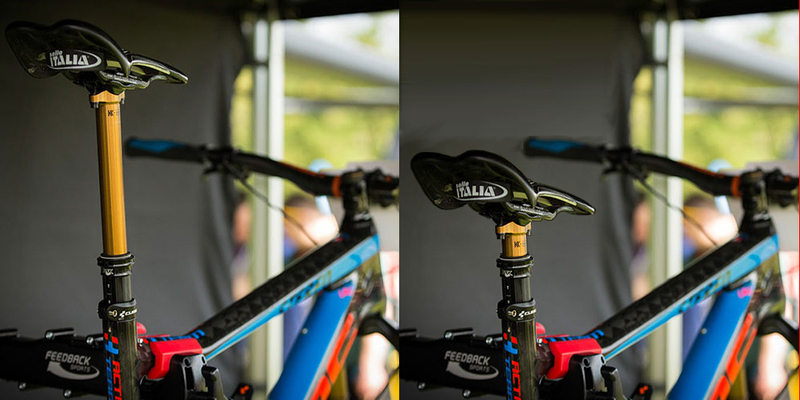 An easy trick to help you brake comfortably, is to place your brake levers in an easily accessible place. One trick that helps with position, braking and weight disbursement is a higher lever position. A common incorrect brake lever position is based on a normal seated riding position rather than the descending position. The levers should be set so that you can reach out and access them easily with your weight low and elbows bent. This will look higher than what you are used to (see image). The reason this is helpful is best explained by what happens if the levers are positioned incorrectly (low). If the levers are low, you will naturally roll your wrists over the bar when reaching for the brake. This lifts your weigh, locks your arms, and positions you too far forward. Another way to get your weight low, is by installing a dropper post. Dropper posts allow the rider to remotely lower their saddle height. A lower saddle height lets you get your weight lower, easier. Once you need your saddle up again, just hit a button and its back in place. I don’t encourage you to find the steepest, rockiest pitch to practice these skills on. When practicing these new skills, use descents of trail that you are comfortable with. The descents that you are already doing with relative ease are the places to practice new skills. Once you become comfortable with weight and position, try some new places and slowly work your way up to difficult terrain. 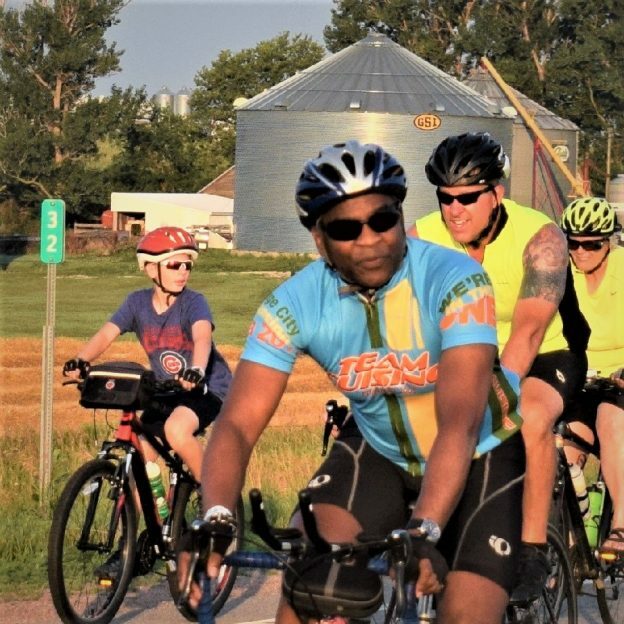 This entry was posted in News and tagged #bicycle, #mnbikeguide, #mountainbiking, #mtb, #nextbikeadventure, #ridemybicycle, #ridemybike, downhill, downhill MTB, fast MTB, how to descend, how to go downhill, Minnesota Bike Guide, mountain bikes, Mountain Biking, mountainbikes on May 22, 2017 by John Brown.